In 1907, a young entrepreneur borrowed $100 from a friend and started the American Messenger Company in Seattle, Washington. 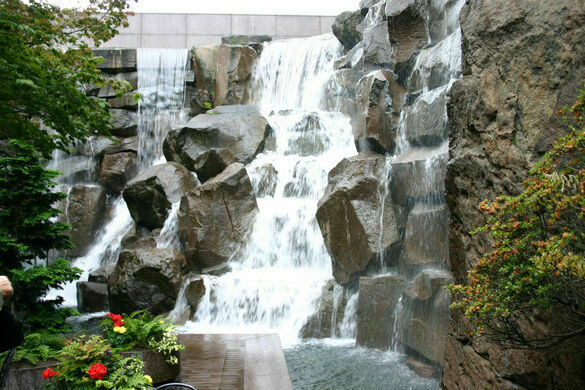 Today you know that messenger service as the United Parcel Service (UPS), but a tiny waterfall park on the site of the company’s original location in Seattle remembers the shipping giant’s roots. UPS operated exclusively out of Seattle until the 1930s when the company expanded to other parts of the country, changing their name to United Parcel Service and starting on the road to becoming one of the world’s foremost shipping giants. In 1975, UPS moved their headquarters to Connecticut and the original Seattle space was eventually closed. 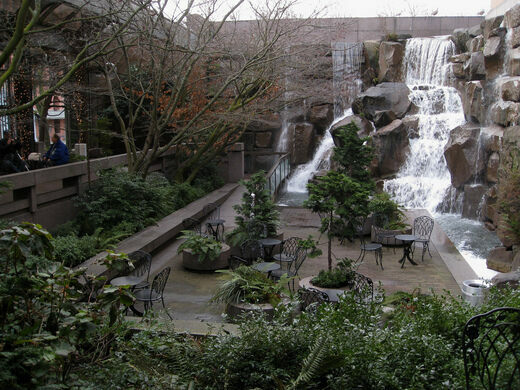 A neighborhood known as Pioneer Square sprung up in the area formerly occupied by UPS, including a pocket park called the Waterfall Garden, which is said to cover the footprint of the original American Messenger Company business. 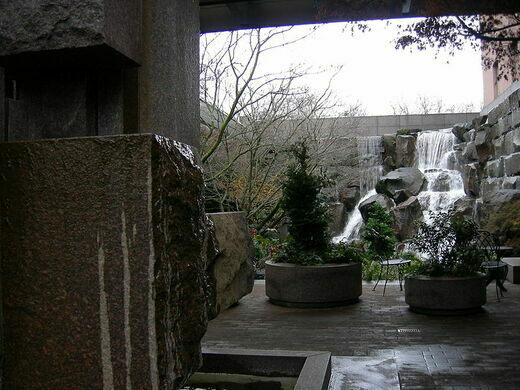 The often-overlooked park features a 22-foot man-made waterfall, overlooking a dual-level patio with tables and chairs. The park was built and is still maintained by a charitable foundation started by UPS’s founder. A plaque on the park grounds was installed in 2007, on the 100th anniversary of the company. The park offers a quiet-ish place in the middle of a hectic city to relax and enjoy lunch or coffee or to read a book. If you’re in the neighborhood, stop by the park for some quiet contemplation or to appreciate a bit of off-the-beaten-path business history. The name of this tiny pocket park tucked between two buildings on Manhattan's Upper West Side is Latin for its location: "seventy-one."